The best Rick Moranis movies will give you a fairly comprehensive review of a film career which may or may not be over. Even though Rick Moranis’ last live-action film appearance was roughly 20 years ago, people remember him as though he is still appearing in movies yearly. That is a testament to Moranis’ talents, both as a comedian and as an actor, and to the fact that even when he played the little jerk with a chip on his shoulder, he still managed to be someone we couldn’t help but like him anyway. Appearing in some of the most popular movies of the 80s doesn’t hurt either, as 80s and 90s kids are currently on a wave of nostalgia that may well go on forever. Yet it’s more than that. Lots of 80s and 90s stars are struggling to be remembered now. Why is Rick Moranis so effortlessly able to return to public conversation? Whether making his first-ever appearance at a fandom convention, or showing up on an episode of The Goldbergs to reprise a beloved character, news of Rick Moranis doing pretty much anything is greeted with overwhelming enthusiasm and interest. The rarity of Moranis appearing in something definitely helps this interest. Yet once again, it’s more than that. 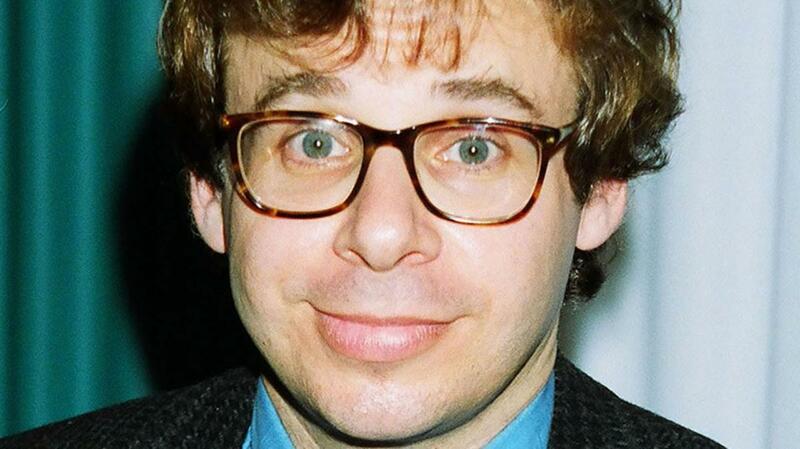 Rick Moranis was one of the best comedic actors of his time. Despite several less-than-great movies in the 90s, he has a body of work that reads as the resume of a multifaceted legend. We hope for his return to steady film appearances for more than just the novelty of such a possibility. We want to see one of the greats come back, and then add to one of the most impressive legacies in modern comedy history. Rick Moranis’ film debut, featuring his half of the legendary SCTV characters Doug and Bob McKenzie (the other half being played by the great Dave Thomas), holds up astonishingly well after 35 years. Honestly, you don’t even need to know who Doug and Bob are to enjoy the weird, delightful Strange Brew, although that certainly helps. Strange Brew, which goes in deep on an elaborate supernatural story that is set at a brewery, more than lives up to its name. 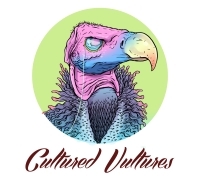 Moranis (and Thomas) showcase their remarkable knack for constantly making it seem as though they’re as confused by everything going on as we are. It’s the kind of performance that is so immediately believable, it almost seems like they aren’t even trying. As you watch them wander through this bizarre story, which includes the likes of Max Von Sydow and Mel Blanc, keep in mind that Moranis and Thomas wrote and directed this, as well. I feel like the list of actors who could successfully make Louis Tully appealing is a very, very small assortment. The role of Dana Barret’s wimpy, kind-of-annoying-but-it’s-not-really-his-fault neighbor was originally for John Candy. I’m glad Moranis took the role instead. While Louis isn’t the deepest character in the bunch (none of them really are, and that’s fine), Moranis makes it easy for us to at least like him. We feel a little sorry for the guy, and for the fact that he is a victim of the evil forces that are seeking to destroy the world. One of the secrets to Ghostbusters success is the strong balance of comedic actors and performances with the ones who play the proceedings largely straight. Moranis is somewhere in the middle of that balance, and his performance is a highlight in a film filled with those. For a lot of reasons, the musical version of Roger Corman’s old black comedy classic is one of those musicals that just about everyone likes. Even people who claim to hate musicals cannot help but fall in love with the songs, cast, energy, and direction (from the great Frank Oz) that make up the 1986 Little Shop of Horrors. Moranis is Seymour, who is the film’s protagonist. The original Seymour, played by Jonathan Haze, wasn’t a bad guy. He just suffered from being too pitiful to be someone we could seriously care about. This film version of the off-Broadway musical is considerably more upbeat in general than Corman’s original, and it also benefits from a larger budget. At the same time, as enjoyable as the movie is on virtually every level, Moranis’ singing and overall performance is what gives the movie more than just catchy songs and eccentric characters. We were treated recently to Rick Moranis returning to the role of Darth Helmet, a role he managed to create as more than just a Darth Vader parody. Whether or not that means Moranis will eventually make a full-time return to movies and shows is one thing. For now, while Spaceballs is a little lackluster in places, and is perhaps the first of several “average” Mel Brooks movies, the cast keeps things more than merely amusing. Moranis as Darth Helmet is probably the best of a long list of memorable performances in Spaceballs. Every scene with Moranis and Brooks (as President Skroob) is glorious. The scene with Helmet, alone, playing with his dolls, is somewhere high on the list of the funniest things Rick Moranis has ever done on screen. In about 6 years, Moranis would appear in his last live-action film (the third Honey I Shrunk the Kids). However, at this point, he was one of the most recognizable and well-liked comedy actors in the world. There was no telling where he might go. It is unfortunate that the movies he did after this point were largely in the disappointing-to-outright-awful range. My Blue Heaven is perhaps the last Rick Moranis movie in which not only is Moranis great, but the movie itself is a pleasure from start to finish. If nothing else, I would love to see Rick Moranis and Steve Martin work together again. This was their second pairing (the first was Little Shop, and Moranis would have a cameo in Martin’s 1991 film L.A. Story). While Dave Thomas is probably the most famous comedy partner for Rick Moranis, I don’t think there could ever really be a limit to the comedic possibilities of him working with Martin. My Blue Heaven, in which Martin plays an extremely charming mafia hood in the witness protection program, is the best evidence we have of their potential together. Although Rick Moranis is very much the straight man in My Blue Heaven’s breezy story, he isn’t just there to merely react to Steve Martin’s silly accent and purposely exaggerated mannerisms. Beyond the fact that Moranis gets a nice story for his character (which includes wonderful scenes and chemistry with Joan Cusack), My Blue Heaven makes him just odd enough to be tempted by everything Martin’s mafioso offers. Even when he’s something of a sad sack at the start of the film, we still see someone with enough of a personality to where it’s just a matter of something coming along. That something is Steve Martin’s character, and the result is yet another great Rick Moranis performance. Whether or not he returns to acting is obviously his call to make. Still any list you might compile of the best Rick Moranis movies is enough to make you hope he does.